What!? 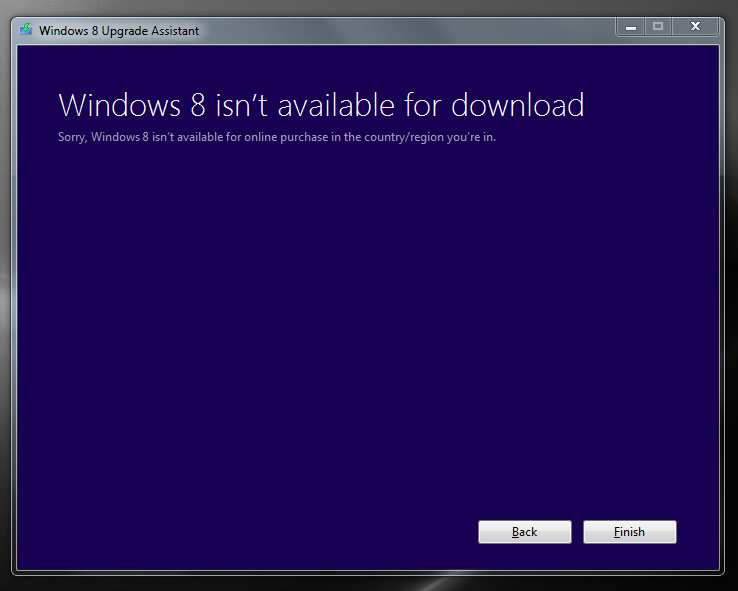 Windows 8 isn't available for download in the United States? Why then, Microsoft, did you offer to sell it to me in the first place?